Tazo Chai Decaffeinated Black Tea -- 6 per case. Tazo Skinny Chai Latte Black Tea Concentrate, 32 Fluid Ounce -- 6 per case. Tazo Organic Peach Cobbler Black Tea - 20 bags per pack -- 6 packs per case. Tazo Organic Earl Grey Blanc Black Tea - 20 bags per pack -- 6 packs per case. Tazo Organic Earl Grey Noir Black Tea - 20 bags per pack -- 6 packs per case. 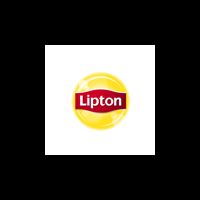 Lipton Black Tea, 20 tea bags per pack -- 12 per case. Pickwick Earl Grey Black Tea, 1.41 Ounce -- 6 per case. Pickwick Lemon Black Tea, 1.41 Ounce -- 6 per case.